Eve Byrd remembers a conversation she had with a nursing student in Liberia several years ago. A faculty member for a Carter Center program to credential nurses for mental health disorders, Byrd and her student nurse had just finished seeing a patient and were discussing the case. The student asked, "Once I diagnose this person, who will take care of her?" In response, Byrd just looked at the student, whose eyes widened as she said, "I will." "It was a remarkable moment," Byrd said. "It hit home to both of us that without the program and what we were doing, there wasn’t anyone to take care of the individuals with psychiatric illnesses and epilepsy." 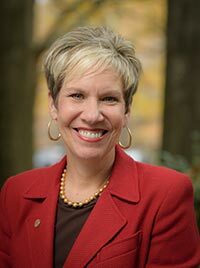 Byrd, D.N.P., M.P.H., who became director of the Carter Center's Mental Health Program in early 2017, has spent many years caring and advocating for people with mental illnesses. 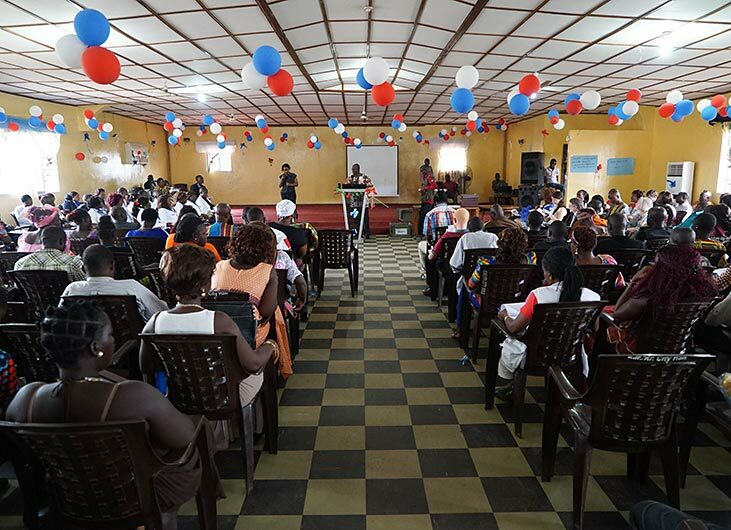 In Liberia, she taught nurses about how to recognize and treat mental health disorders in a country that had just one psychiatrist in 2010. But most of her career has been in Atlanta, Ga., where she worked as a psychiatric nurse in hospitals, homes, and clinics, learning firsthand about the needs of people with mental illnesses. "It's one thing to say you understand," Byrd said. "But it's another to have worked directly with someone who has been evicted or can't get the right supports or has lost someone to suicide or overdose," she said. Although Byrd's career has grown to include more and more administrative and leadership roles over time, she was always able to hold on to her clinical practice, something she values. "When people share with me their challenges related to a behavioral health condition, it is a privilege," she said. "It is a time when people can be the most vulnerable." Byrd sees the stigma of mental illnesses as a major barrier to good care and believes that better health policy will go a long way toward improving resources for those who need them. "Unfortunately, in the United States we spend a lot of time and resources to rework a broken system of care," she said. In contrast, Liberia — even with its lack of infrastructure — is building a system the right way the first time with mental health services embedded with primary care. According to Byrd, full implementation of insurance parity is one linchpin that could transform behavioral health care. "If your insurance covers mental health needs at the same rate as your other health coverage, it sends a very strong message that mental health is of equal importance to your cardiac health and your orthopedic health," she said. Byrd's clinical and administrative experience put her in a unique position to work to change policy and fight stigma, actions The Carter Center is known for, due to decades of work by former First Lady Rosalynn Carter, founder of the Center's Mental Health Program. "Because of Mrs. Carter's legacy in mental health, we're able to bring people with different experiences or differing opinions to the table to eliminate barriers and move this work forward," Byrd said. Byrd hopes that the end result of health policy and stigma work will be better access to behavioral health services, especially early intervention and community-based services. "To have this platform for really improving behavioral health is the greatest honor," she said. "And with it comes much responsibility."